For my birthday last year, Nick super-generously bought me the most beautiful red sewing machine. However, to my utter shame, it has sat in its box in the spare room gathering dust, because I simply haven't had the time - or been brave enough - to break it out. 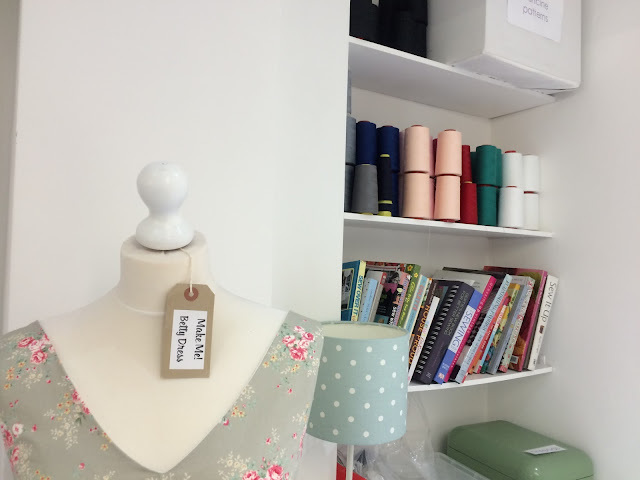 However, the latest series of The Great British Sewing Bee has re-sparked my interest in it, and I decided to hunt out a sewing course to give me a little boost to crack on with it. 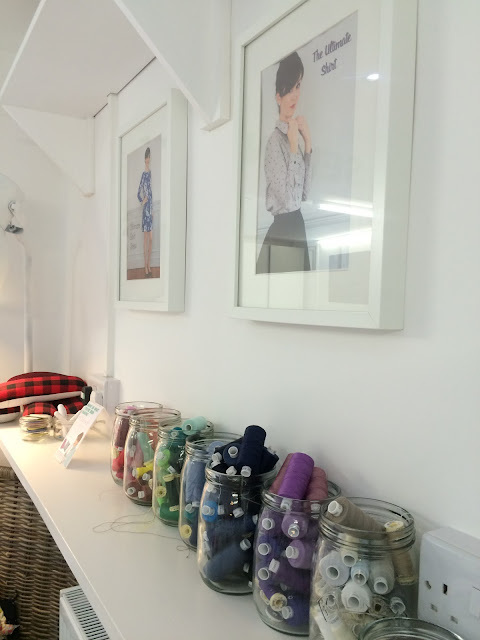 Nick was away on a stag do last week so I thought I'd take the opportunity of a free weekend to do the course, and as luck was have it Sew Over It was running their Intro to Sewing class on those dates - perfect timing! 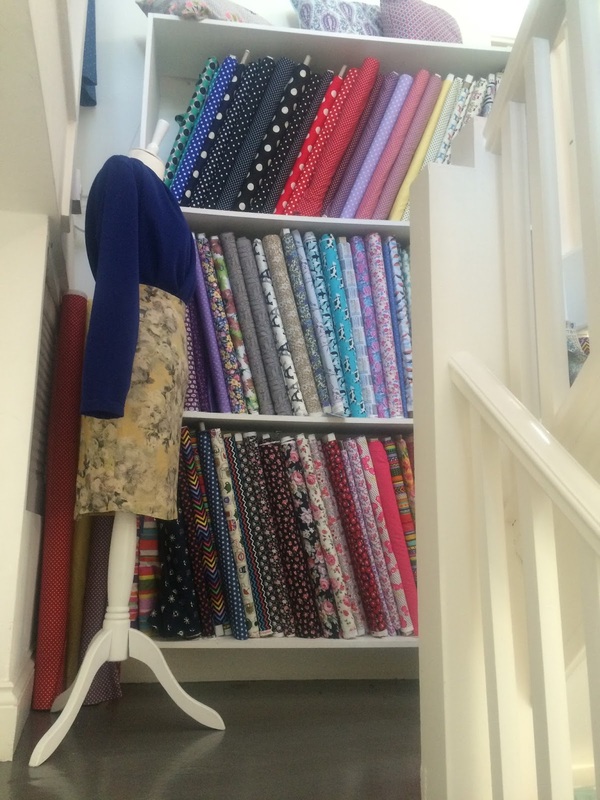 So on a bright Saturday morning I trundled off to Clapham full of nervous excitement and trying to remember as much as I could from my GCSE Textiles course. 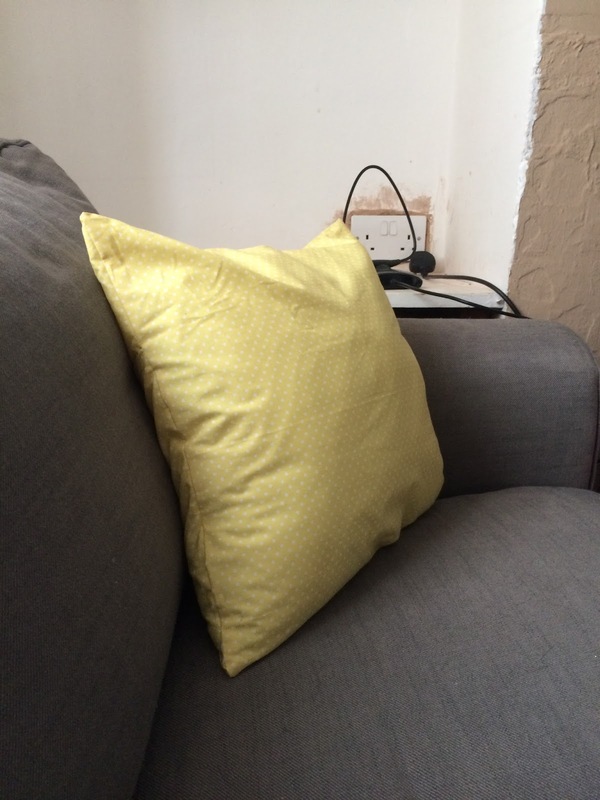 Our first project was to make a cushion cover. 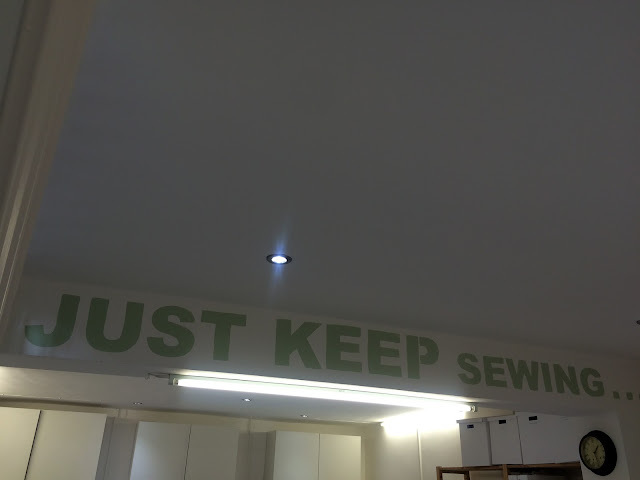 We learnt how to thread the sewing machine, which seems fiendishly complicated at first but by the end of the weekend we were doing it so much it felt like second nature. I ended up thinking of it like driving and all the things you have to do before you can 'set off', so to speak - winding the bobbin, threading the needle and bringing the bobbin thread through, then putting the foot down and the needle into the fabric. 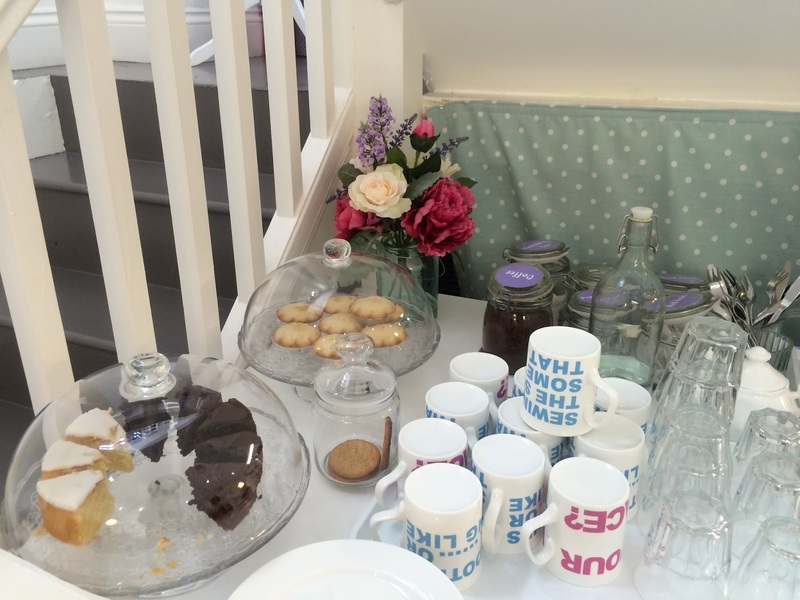 I opted for a sunny yellow fabric with a polka dot print as I'd been after something similar for a while, but people chose all sorts of things including penguins, cows and teacups with images of London icons on them! The cushion cover was actually fairly easy to sew due to its square shape but it was a really great opportunity to get used to the rhythm of the process, such as remembering to backstitch to secure your seams and pattern matching (getting the pattern the same way up on both sides of the fabric). It's definitely a good beginner's project and I'm already trying to hunt out some similar fabric in duck-egg blue to make a matching cushion (we got to keep the instructions and make a paper pattern for everything we made over the weekend). 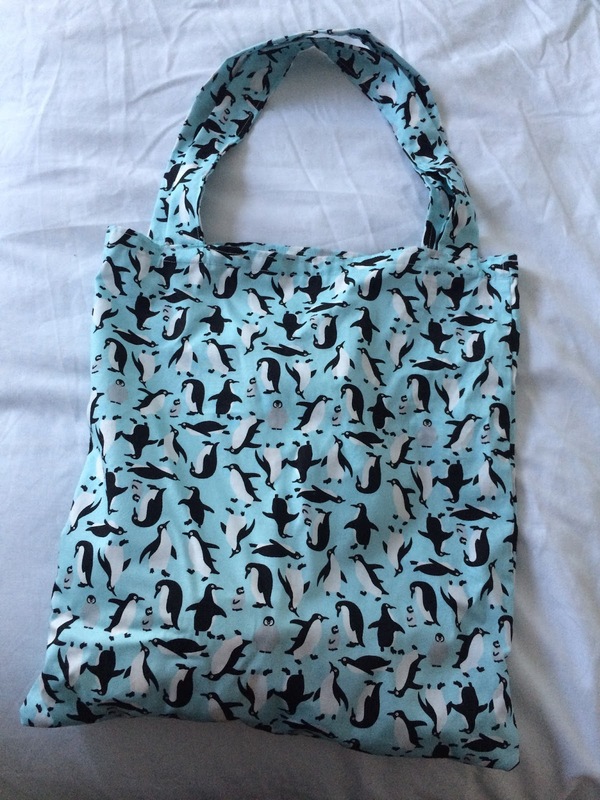 Next up was a tote bag, where I opted for the penguin fabric. Although lots of the techniques and shapes were similar to the cushion, meaning we had a chance to practice what we already learned, it also taught us some new techniques like zigzag stitch (used to secure raw edges as an alternative to overlocking, which is what's used on most shop-bought clothes) and how to sew straps. I did find this harder going and have to admit that the stitching on this bag wasn't my finest hour, but looking back now I'm actually really pleased with it. 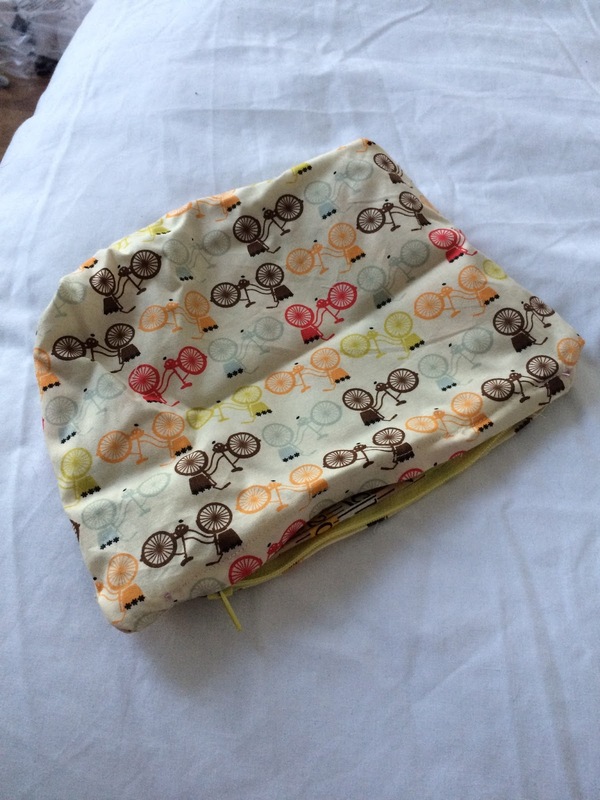 I've even bought some gorgeous Eiffel Tower print fabric to have another go! Finally, we spent the afternoon working on our own projects. One of the main reasons I wanted to learn to sew was to alter my clothes - the issue with being short is that nothing ever really fits me properly - and this was definitely my favourite part of the weekend. I managed to fix the hem of a favourite skirt and took in a T-shirt I'd loved but that was a bit too baggy on me (although when I got it home I realised it had a hole in it so needs going over again). 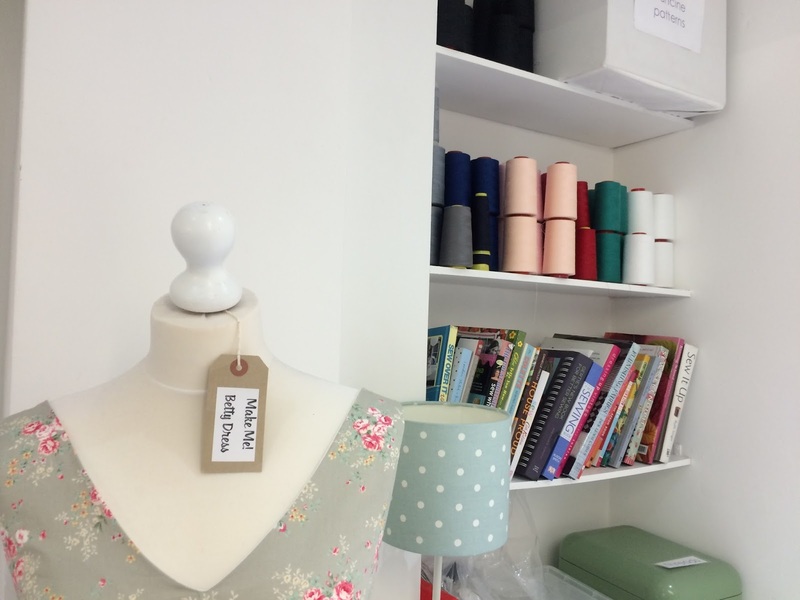 Have you ever learned to sew? Would you be interested in taking a class like this?